This skill tree is made for leaders of the team with special abilities for boosting their team, using their skills for persuasion and intimidation of enemies and hostages. 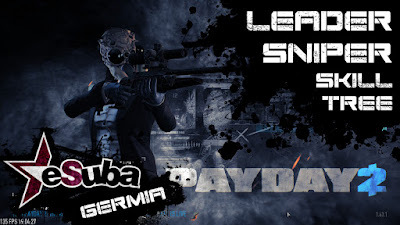 I made this skill tree oriented on sniper weapon and single-shot assault rifles with boosted doctor bag. If you combine the skill tree with Gambler perk, you can function as a healer for your team. - Your skill support the use of single shot weapons, sniper rifles and assault rifles and pistols (as secondary weapon). 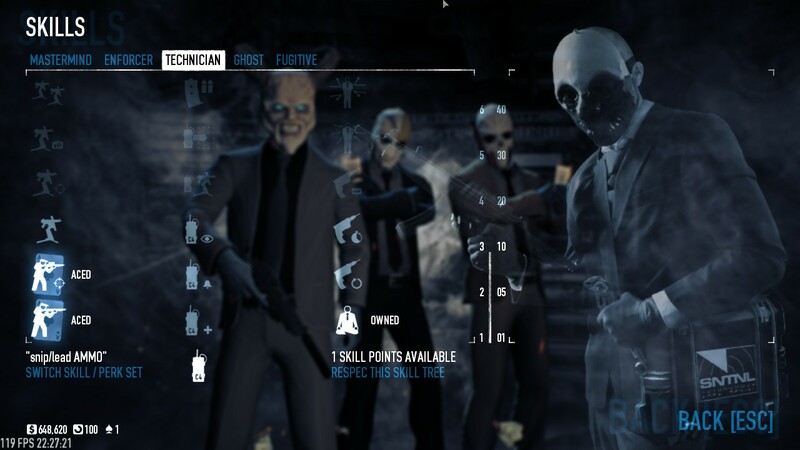 - When standing near a tied-down hostage, he can give you ammo and health. - Having at least one hostage gives you health. - Gambler - by picking up ammo, you heal yourself and your teammates. 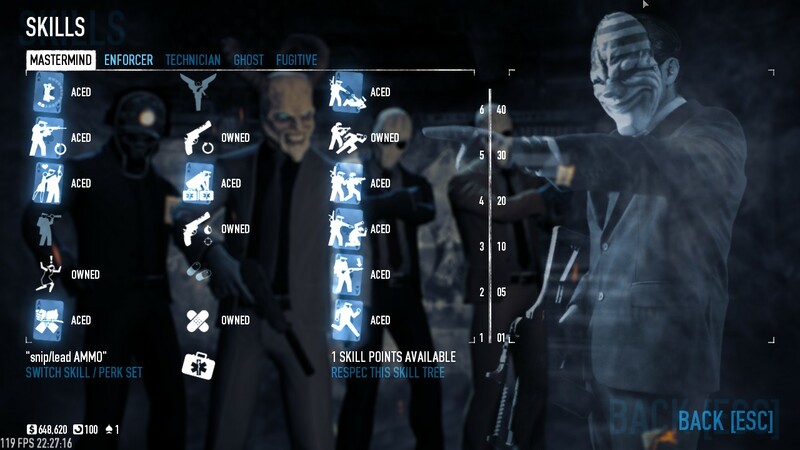 2) Make sure you´re using proper weapons for this skill tree. 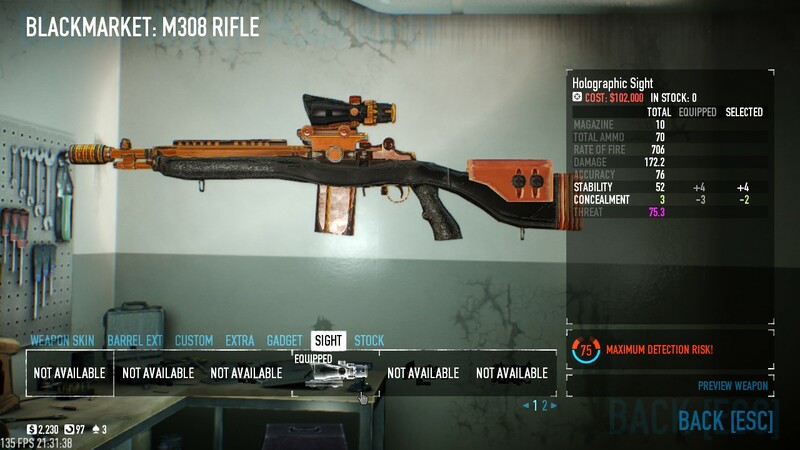 Best weapon you can use is M308 rifle with scope (picture), but if you buy DLC like Gage weapon sniper pack, then you can use different types of single-shot rifles or sniper rifles (I recommend R93 sniper rifle), with DLC Gage weapon pack #01, you can make a sniper rifle from any assault rifle by buying sigle-shot modification (picture) and scope, and with DLC´s Western pack and Ninja pack, you can get more sniper rifles. 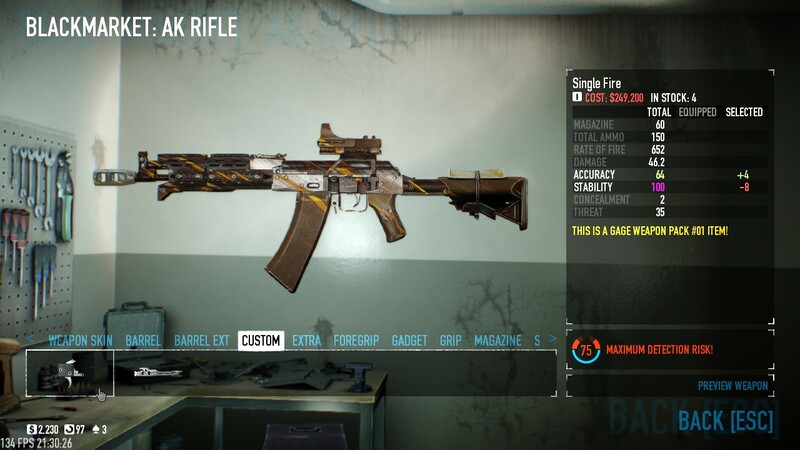 Nice addition to that is a strong pistol with high damage like Desert Eagle or Bronco revolver. 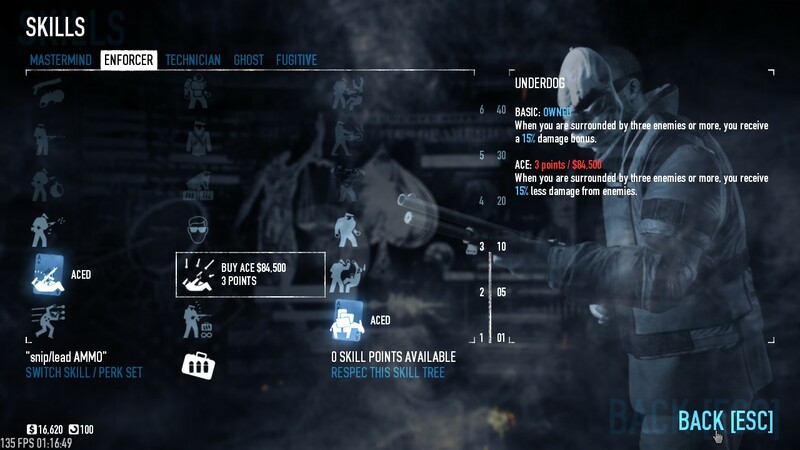 3) This skill tree needs to be used with doctor bags - It´s the only boosted deployable equipment in the skill tree: You have two of them and they can be used 4 times. If you're missing the ability to last long under enemy fire and want to have more armor, this skill tree is just for you. It's combining healer/tank/sniper skills. You can find it IN THIS LINK.